According to millions of you, the current edition of Returning The Favor is “far and away the best thing on Facebook.” This is very gratifying but somewhat confusing, since millions of you also told me that last week’s episode was “far and away best thing on Facebook.” Personally, I’m not inclined to make such distinctions, but I’m deeply flattered, as are the people we featured in each episode. Luke Mickelson for instance, the maker of bunkbeds and the founder of Sleep in Heavenly Peace, has reported something astonishing. Apparently, as a result of his episode, hundreds of people have reached out to start their own chapters in various parts of the country. This is nothing short of extraordinary, and precisely what I hoped might happen by putting his story on a platform as large as Facebook. Likewise, Goldin Martinez has been inundated with requests to mimic his mission with Get Focused. Also, amazing. If you’re a fan of the show – or just a random do-gooder looking to rub elbows with like-minded Good Samaritans – you’re officially invited to join this group. Also, if you want to suggest an idea for the show or nominate a person or organization, I encourage you to do so there. I still read everything on my personal page, but the producers are over there, looking for ideas with a level of intensity and desperation I can’t hope to match. Finally, I’d like to correct an oversight in last week’s episode. Full disclosure – every episode is packed with oversights, and the cutting room floor is filled with moments that I would have preferred to see in the actual show. Fact is, we’re shooting and delivering shows so quickly that a lot of really great stuff gets by me. This week’s oversight however, was egregious. I neglected to acknowledge the man who found and transformed a giant van into a custom, mobile bookstore in just three days. 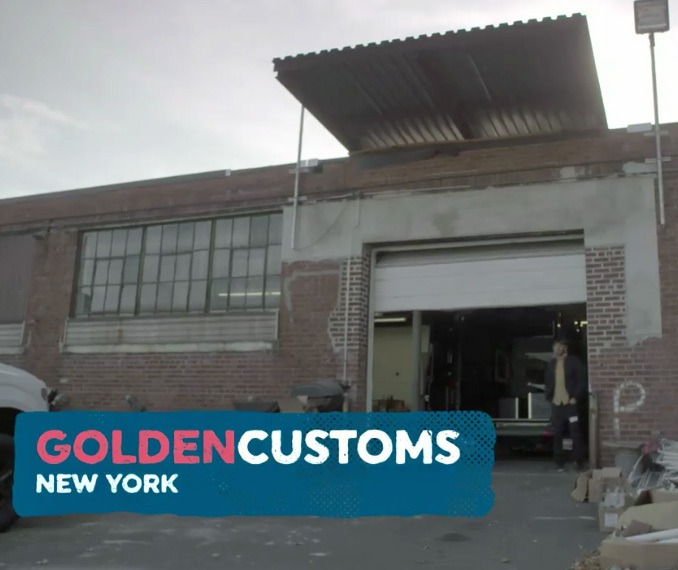 Ed Golden and Golden Customs NY not only did the impossible – they did it over the Thanksgiving Holiday. He and his team worked around the clock to make sure we could present Goldin with the means to take Get Focused to the next level. Below, is the footage we should have included in the actual episode. Apologies, Ed, and many thanks for what you did to make this episode a success. Thanks as well to the many individuals and organizations who are donating books to Get Focused. It’s a remarkable thing to witness, and more proof that the world is not as rotten as our newsfeeds would have us believe.